Opening weekend $18.736 million on 2770 screens. Rated PG-13 for war violence and some language. Since Behind Enemy Lines hit movie screens on November 30, 2001, it seems clear that most of the production finished prior to September 11. Nonetheless, Lines represents the post-9/11 climate perfectly. A rah-rah affair that possesses little depth or complexity, the film occasionally works in an action flick manner but never does more than that. Apparently loosely - really loosely - based on the real-life story of Captain Scott O’Grady, Lines introduces us to Navy navigator Lt. Chris Burnett (Owen Wilson), a guy who seems disenchanted with his military career. Stationed near the Balkans, he feels disappointed with the path the NATO intervention takes and plans to enter the public sector when his commission ends in a few weeks. He cheeses off his commanding officer, Admiral Reigart (Gene Hackman), and lands a crummy assignment running a reconnaissance mission on Christmas Day. Along with his pilot, Lt. Jeremy Stackhouse (Gabriel Macht), they head out on the flight, but matters take an odd turn when they detect suspicious activity in what should be a neutral zone. When the locals attack, their plane gets blasted and they take to the ground. The natives kill Stackhouse and pursue Burnett. And there’s your plot! That’s all we see for the rest of the movie. Burnett tries to escape, while Reigart attempts to orchestrate his rescue. Unfortunately, NATO chief Piquet (Joaquim de Almeida) ties Reigart’s hands; he fears that intervention will threaten the tentative peace. Of course, in a film such as Behind Enemy Lines, someone who might actually care about an absence of war must be seen as a coward, a weasel, or a cowardly weasel. The film shows some restraint in that it leaves Piquet as a weasel and doesn’t imbue him with any cowardly tones. That’s about the only sign of restraint I found, however. 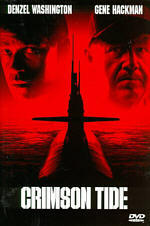 No, Lines isn’t the most gung-ho, rah-rah, pro-American flick ever made, but it’s still way over the top in that regard. The movie’s so jingoistic that it makes Top Gun look like some sort of commie propaganda piece. And an Irishman directs it! As the French say: tres ironique! All of this would be more acceptable if the flick possessed more spark behind it. Far be it for me to attack this sort of picture for its lack of depth; after all, I often espouse the virtues of the Bruckenheimer canon, and Lines is nothing more than a Jerry Bruck wannabe. So why do those movies often work for me but Lines seems flat and lifeless? Good question, and one I’m not sure I can answer. Lines appeared to stretch reality for its own ends. Burnett avoids situations from which no mortal could escape, and the whole plot point in which the NATO chiefs hold back the rescue attempt exists just to create artificial tension. Lines is about action, action, and more action, without much room for logic, character development or any other niceties. But that doesn’t really differ from the average Bruckheimer flick, so those criticisms shouldn’t be fatal. For seem reason, in the case of Lines, they are. Well, perhaps not fatal; despite my complaints, I thought the movie had enough excitement to keep me interested in it for the most part. But it never really got me going in the expected manner. Behind Enemy Lines fell flat for a number of reasons, some explained, some not, but all problematic nonetheless. At the end of the day, I simply felt like I’d watched a 105-minute ad for the military. If that works for you, give Lines a look, but I think the movie’s too simplistic for its own good. 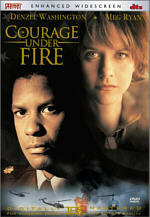 Behind Enemy Lines appears in an aspect ratio of approximately 2.35:1 on this single-sided, double-layered DVD; the image has been enhanced for 16X9 televisions. Overall, this was a terrific picture that betrayed almost no concerns. Sharpness consistently appeared excellent. At all times, the movie remained crisp and well defined, with virtually no signs of softness. The image seemed precise and distinct from start to finish. Jagged edges and moiré effects created no concerns, and I detected no indications of edge enhancement. Print flaws also appeared virtually absent. I noticed a smidgen of grain on a few occasions, but it stayed very modest, and I saw no other defects like grit, speckles, or nicks. For the most part, Lines featured a fairly limited palette - the war-torn Balkans don’t exactly cry out for eye-popping hues - but the DVD replicated the tones effectively. The colors appeared clean and accurate, and they showed no signs of bleeding, noise, or other problems. Even during blue-lit scenes on the ship, the colors stayed tight and solid. Black levels looked deep and dense, while shadow detail was appropriately heavy but not excessively thick. Ultimately, Behind Enemy Lines presented a simply fantastic image. Also splendid was the film’s audio. Behind Enemy Lines offered both Dolby Digital 5.1 and DTS 5.1. Most of the time, I detect little to no difference between the two, but that didn’t occur here. While the Dolby track worked fine on its own, I thought the DTS mix outdid it and offered the superior experience. As such, the following comments will address the DTS sound; I’ll discuss the differences heard in the Dolby track after that. Lines featured a tremendously active and vibrant soundfield. To say the audio pushed all five channels would be an understatement, as it used the entire spectrum to terrific advantage. Of course, the action sequences made the strongest impact. Jet take-offs filled the environment with a visceral impact, and the scene in which Burnett and Stackhouse try to evade the missiles offered ready-made demo material; the manner in which both the plane and the rockets flew about the room seemed truly dazzling. Even quieter scenes still used the entire spectrum. Music showed good stereo imaging and presence, and the track always provided a solid sense of atmosphere. Granted, you’re not likely to use the simple sequences to impress your friends, but they helped make the track even more worthwhile. Nonetheless, the action bits remained the most compelling. Anyone can fill the speakers with sound, but the designers of Lines did so with style and fluidity; the mix fits together seamlessly at all times. Audio quality also appeared excellent. Dialogue came across as natural and distinct, and I discerned no edginess or issues related to intelligibility. I felt speech got slightly buried under the other sound at times, but that probably made sense within the context of the scenes, so I won’t complain excessively about it, especially since it only occurred on a couple of occasions. Music came across as bright and dynamic. The track replicated the score with fine fidelity and range, and the music always seemed vivid and punchy. Of course, the best parts came from the effects, which never ceased to astound. At all times, they sounded clean and crisp; even the loudest jet sequences displayed no roughness or distortion. They also packed a serious blast. Low-end response appeared fantastic, as the track boasted very deep and tight bass that really accentuated the experience. So how did the Dolby Digital and DTS mixes differ? While the former seemed good, the latter simply appeared smoother and more seamless. The soundfield blended together more cleanly and lacked the mild “speaker-specific” elements occasionally heard during the Dolby track. In addition, bass response appeared firmer and more distinct in the DTS version, and music sounded brighter and more vivid. To be sure, the Dolby edition worked very well, and it definitely deserved its “A-“. However, the DTS earned a firm “A”, and I entertained an “A+” at times; it provided an outstanding piece of work. 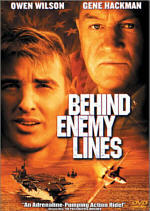 This DVD release of Behind Enemy Lines includes a few extras, starting with two audio commentaries. The first features director John Moore and editor Martin Smith, both of whom sat together for this running, screen-specific track. They offered a very chatty and engaging piece that covered a lot of territory. Though Smith added a few good notes, the gregarious Moore clearly dominated the commentary. He related a slew of interesting details, from working with the cast to changes made in the script to alterations dictated by the MPAA and a bunch of other topics. At times, the track degenerated somewhat into the standard “everyone was great” happy talk, but for the most part, it remained quite solid. The second commentary came from producer John Davis and executive producer Wyck Godfrey, both of whom also were recorded together for their running, screen-specific piece. Frankly, I didn’t expect much from this track, since producers often come across as bland, but I really enjoyed their chat. Though some redundancy existed, they discussed a lot of information not covered in the first piece and did so in an entertaining manner. While more balanced than the Moore/Smith commentary, Davis dominated this one; Godfrey chimed in quite frequently, however. They went over many notes from the producer’s perspective and offered a good little primer on their responsibilities. It’s a nicely informative and worthwhile commentary that kept me consistently engaged. Next up we find seven extended/deleted scenes. These last between 82 seconds and four minutes, 22 seconds for a total of 15 minutes and 56 seconds of footage. Presented non-anamorphic 2.35:1, these clips show a few scenes cut from the movie for pacing and others dropped to get a “PG-13” rating. Frankly, I don’t think the excised material is all that graphic, but I can see why the MPAA would have classified the flick as “R” had the footage stayed. None of the snippets seem terribly interesting, but they’re still a nice addition to the set. The deleted/extended scenes can be viewed with or without commentary from Moore and Smith. They contain to seem chatty and engaging and add some good notes about the shoot, but they don’t always relate why the footage failed to make the film. They tell us this most of the time, but frankly, that’s the most important information that should be provided in this sort of commentary. Clearly most of the material was cut for ratings, but one or two of the scenes hit the floor for reasons undiscussed. Despite that issue, the remarks seem interesting and deserve a listen. During the DVD’s six-minute and five-second behind the scenes featurette, we get the usual mix of film clips, shots from the set, and interviews. In the latter category, we hear from director Moore, actor Owen Wilson, executive producers Stephanie Austin and Wyck Godfrey, technical advisor Captain David Kennedy, US Navy advisor Robert Anderson, and digital animator Peter Monich. For the most part, this program sticks with the usual promotional bent and it tries to interest us in the movie. However, it actually includes some fairly good information from the military advisors, and I also like the parts in which we see Wilson’s training. Obviously, the piece is too short to provide any depth, but it still offers a reasonably interesting little show. For the Pre-Vis Ejection Sequence, we watch a rough version of that scene. The material combines some crude green-screen shots along with storyboards and simple CGI for the five-minute and 24-second early rendering of the segment. It’s interesting to see this stage of the planning, especially since we can also listen to it with or without commentary from Moore and Smith. They add some nice trivia and details about the challenges the piece offered. Frankly, it isn’t that informative, but it seems entertaining. Finally, the DVD finishes with a trailer for Steven Spielberg’s upcoming release, Minority Report. Oddly, the disc includes no ad for Lines itself. While films like Behind Enemy Lines usually work for me, this one didn’t. I can’t totally explain why it fell short of the mark, but the film’s excessive simplicity and overheated jingoism left me cold. Happily, the DVD itself is a solid affair. Picture and sound quality are both excellent, and although not stuffed with extras, it includes some good material, with the highlights coming from two very good audio commentaries. Despite my lukewarm reception, I do think fans of the action genre should give Behind Enemy Lines a look. My dislike of the film is moderate - and confused - enough that I can at least recommend a rental for those who enjoy loud gung-ho flicks.